I am 21 and come from small town Southern Idaho! I am a dog mom to a feisty Aussie Corgie cross named Remy and the sweetest, laziest pit you ever met named Willy. 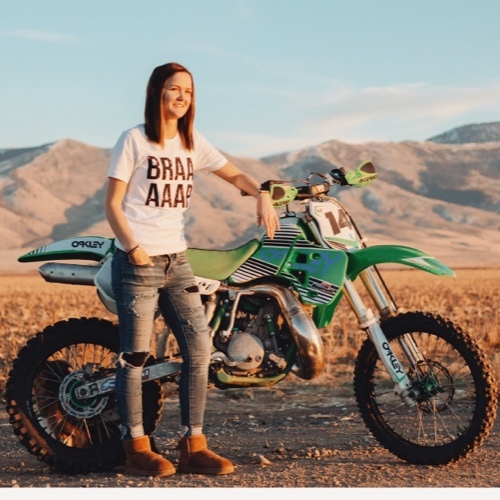 I have a boyfriend of 5 years who is responsible for me getting more into dirt bikes and we love to get outside and go ride.